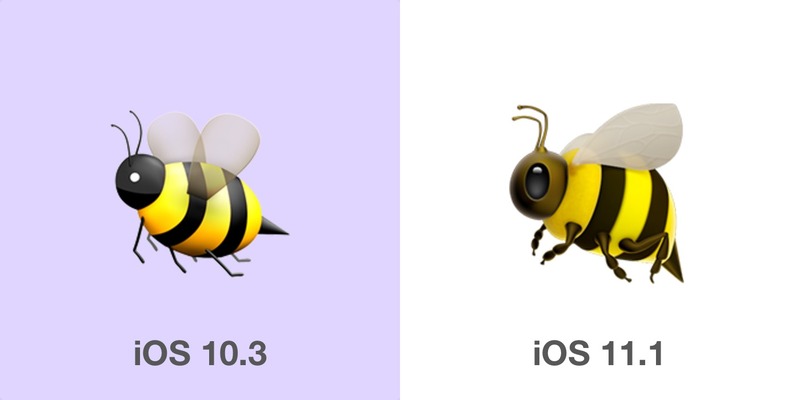 Apple today released iOS 11.1 featuring a total of 240 new emojis, as well as bunch of design changes to some old emoji favorites. 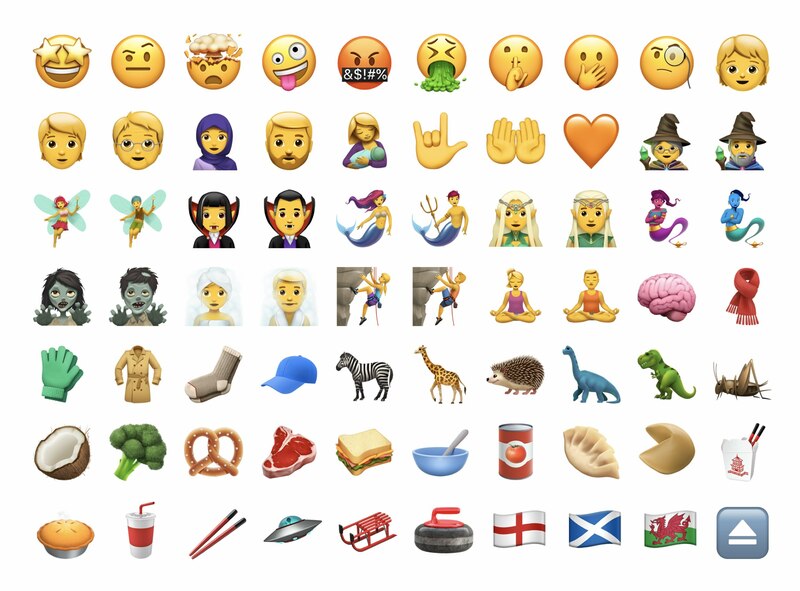 Additions in iOS 11.1 include Giraffe, Face Vomiting, Genie, Sauropod (dinosaur) and all the emojis approved in Emoji 5.0. 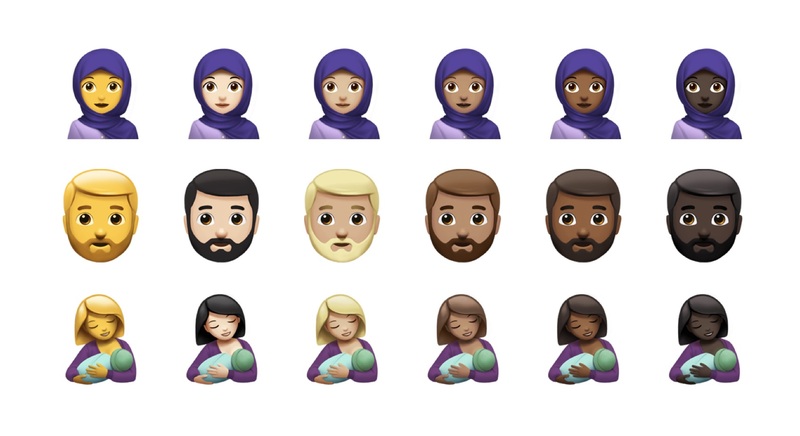 Above: Every new emoji in iOS 11.1 (skin tones not displayed). 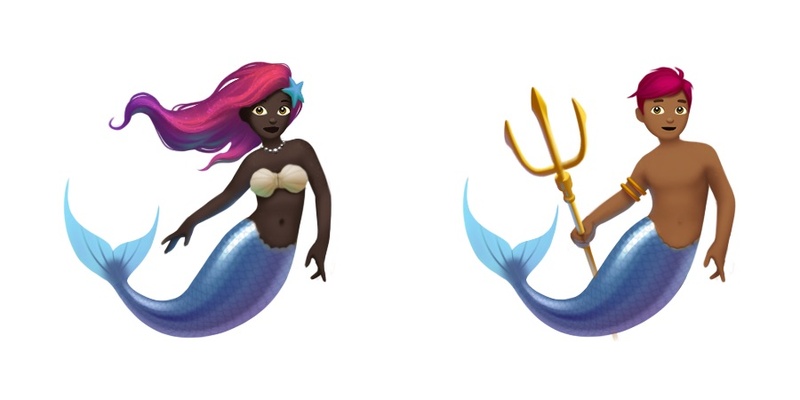 Image: Apple / Emojipedia composite. 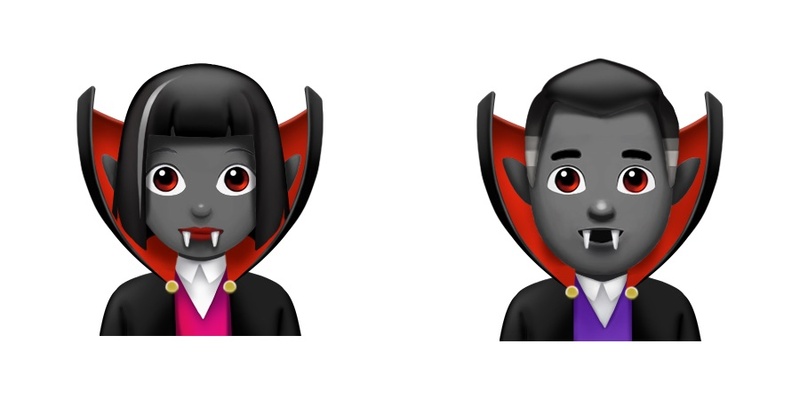 Just in time for Halloween, new fantasy emojis include 🧟 Zombie, 🧞 Genie, 🧛 Vampire and 🧜 Merperson. Each of these have versions that display as women or men. 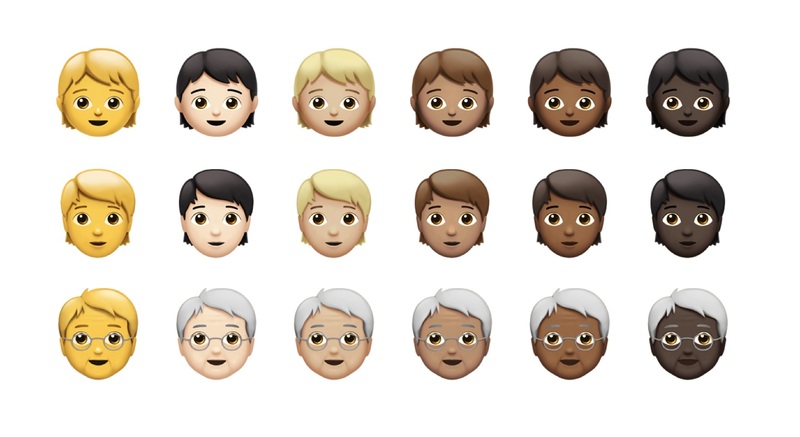 Other emojis available in iOS for the first time include 🛷 Sled, 🧐 Face With Monocle, as well as gender-inclusive emojis for a 🧒 Child, 🧑 Adult, and 🧓 Older Adult. 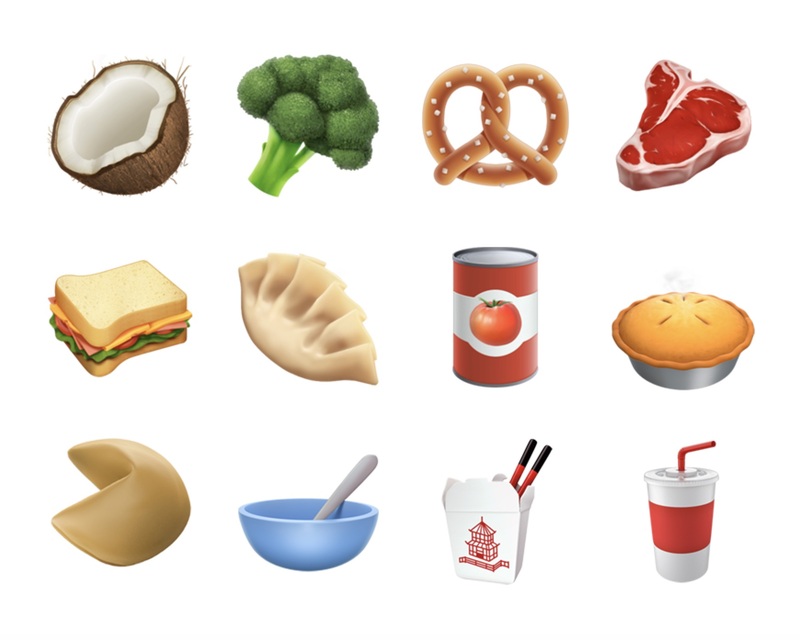 New foods added include 🥥 Coconut, 🥦 Brocolli, 🥨 Pretzel, 🥩 Cut of Meat, 🥪 Sandwich, 🥟 Dumpling, 🥫 Canned Food, 🥧 Pie and more. Above: New foods in iOS 11.1. Image: Apple / Emojipedia composite. The long-awaited "Colbert emoji" is finally here. 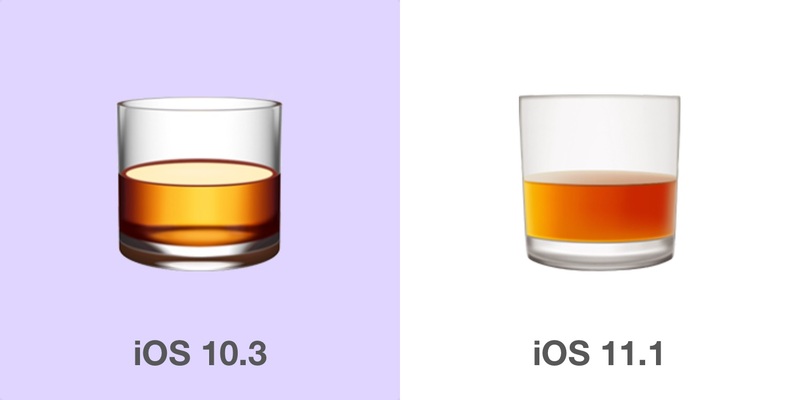 This might be one of the most cross-platform consistent emoji designs, with Apple's iOS version keeping the same eyebrow raised. The official character is aptly named 🤨 Face With Raised Eyebrow. Unicode added support for subdivision flags in early 2017, which allows a wider range of flags to be represented. Three are listed as RGI (Recommended for General Interchange) by Unicode, and these have been added in iOS 11.1: 🏴󠁧󠁢󠁥󠁮󠁧󠁿 England, 🏴󠁧󠁢󠁳󠁣󠁴󠁿 Scotland, and 🏴󠁧󠁢󠁷󠁬󠁳󠁿 Wales. 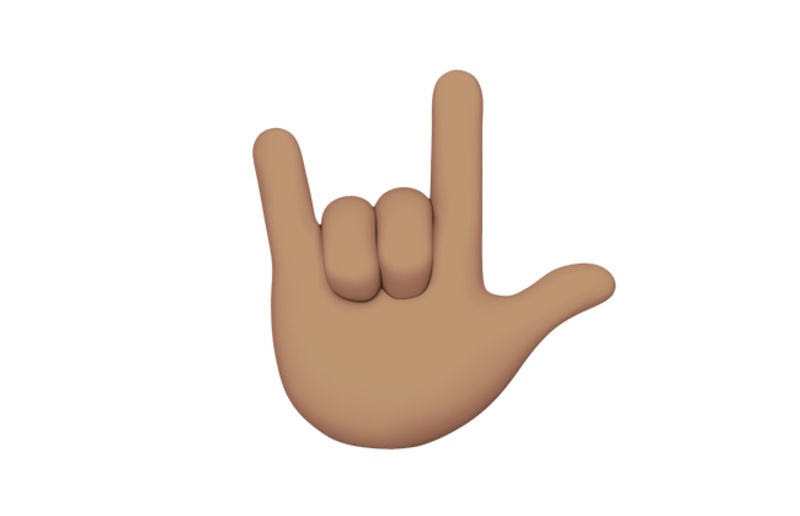 Additionally, one emoji dating back to Emoji 1.0 has finally been added. It's not going to generate much excitement, but alongside emojis for play, pause, forward and back ▶️⏸⏯⏹⏺⏭⏮⏩⏪ is the humble eject which has been added in this release ⏏️. Eject has been supported by iOS in a regular black and white character all these years, but has never made its way into the Apple Color Emoji font used on iOS or the iOS emoji keyboard...until now. Also worth noting is the gender-inclusive characters (intended to provide a middle-ground for those not wishing for an overly masculine or feminine characters) which can be used by anyone. 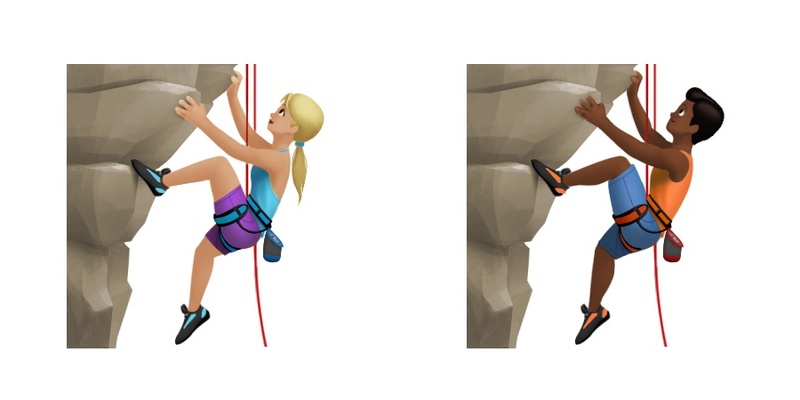 Above: Child, Adult and Older Adult characters could have a variety of uses. Image: Apple / Emojipedia composite. 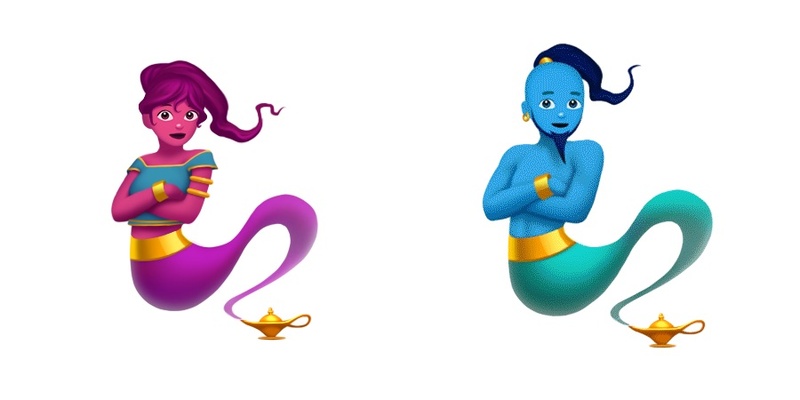 Neither Unicode nor Apple are prescriptive about individual emojis are used, so we may well see these in use by people who happen to feel they look more like them, regardless of gender identity. It should be noted that many flags have different aspect ratios, and Unicode suggests that vendors may wish to keep a consistent shape for all flags, which is what Apple has done until now. No other flags have changed size in this update. 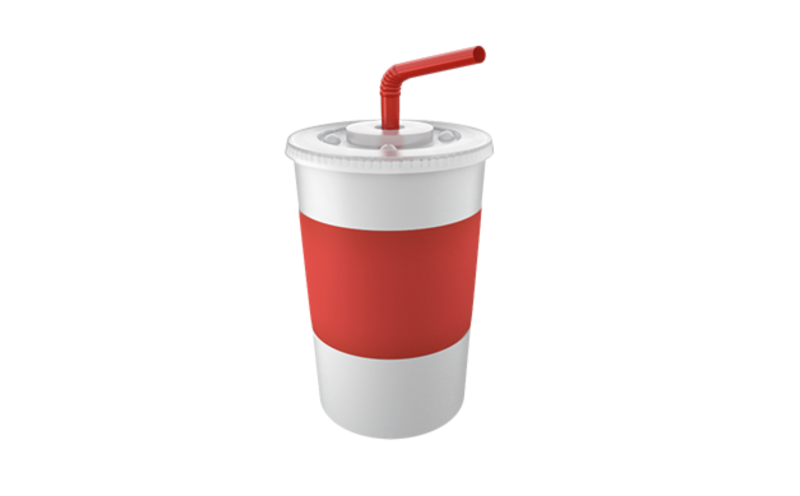 Others emojis had tweaks varying from almost indiscernable (weight, colors, shading) to more clear to see. 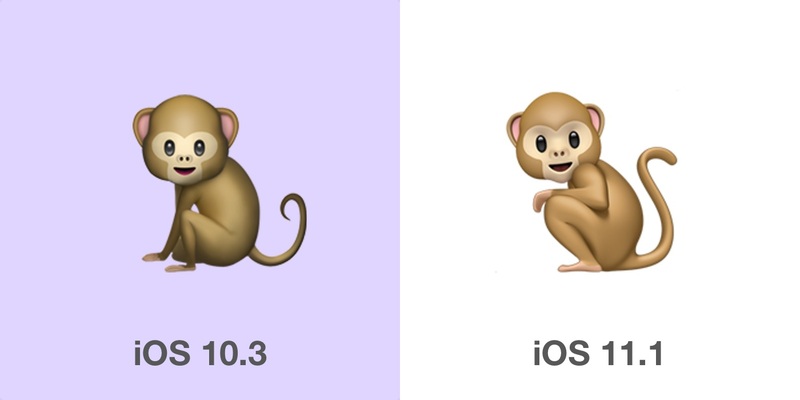 View all emoji changes in iOS 11.1. 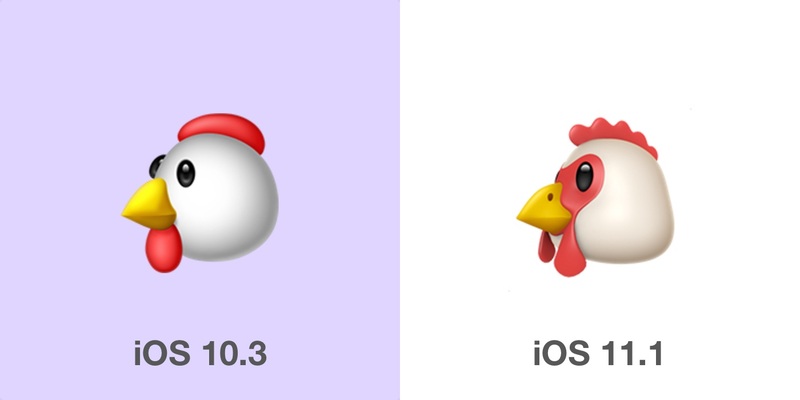 With the release of iPhone X this week, some might be wondering about Animoji right now. Rest assured, despite the name, Animoji is a completely different feature for iMessage. 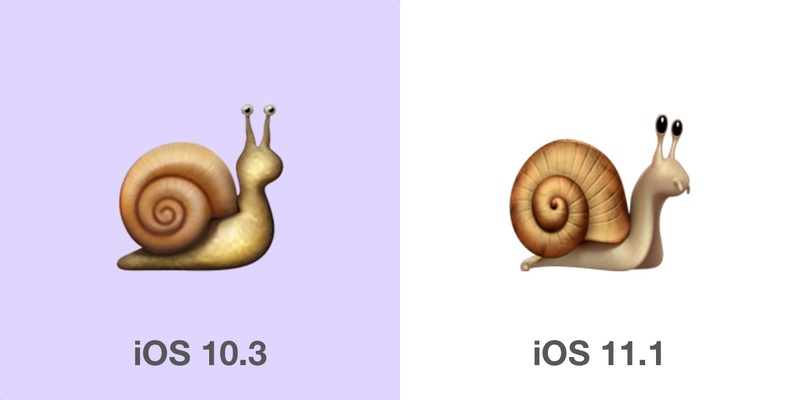 The poo emoji won't be jumping around on the keyboard in iOS 11.1. 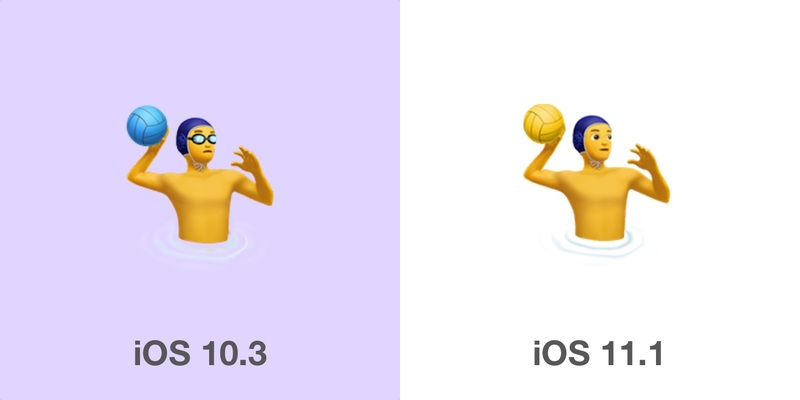 With this release, Apple has become fully conformant with Emoji 5.0, except for the 🇺🇳 United Nations which is supported on other platforms, but not iOS. Additionally, while it is possible for vendors to support more gender-neutral characters, subdivision flags, or family combinations. None of these are listed as "RGI" by Unicode (meaning that they are purely optional) and none are supported by iOS in this release. Lastly, I have to mention redheads here. Redhead representation in emoji has been the #1 item of feedback received by Emojipedia for the past two years now. 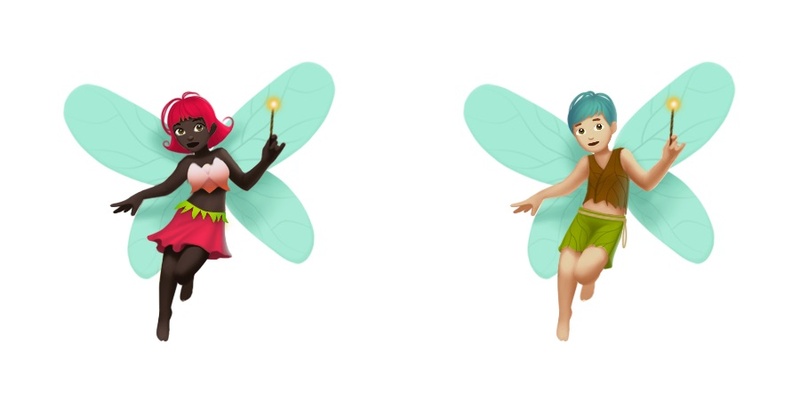 Unicode has redheads drafted as candidates for 2018, so if all goes well they might be on iOS at around this time next year. One character has been removed from iOS 11.1: ⚕️ Medical Symbol aka Staff of Aesculapius. Above: Health Worker emojis are implemented using ZWJ Sequences. 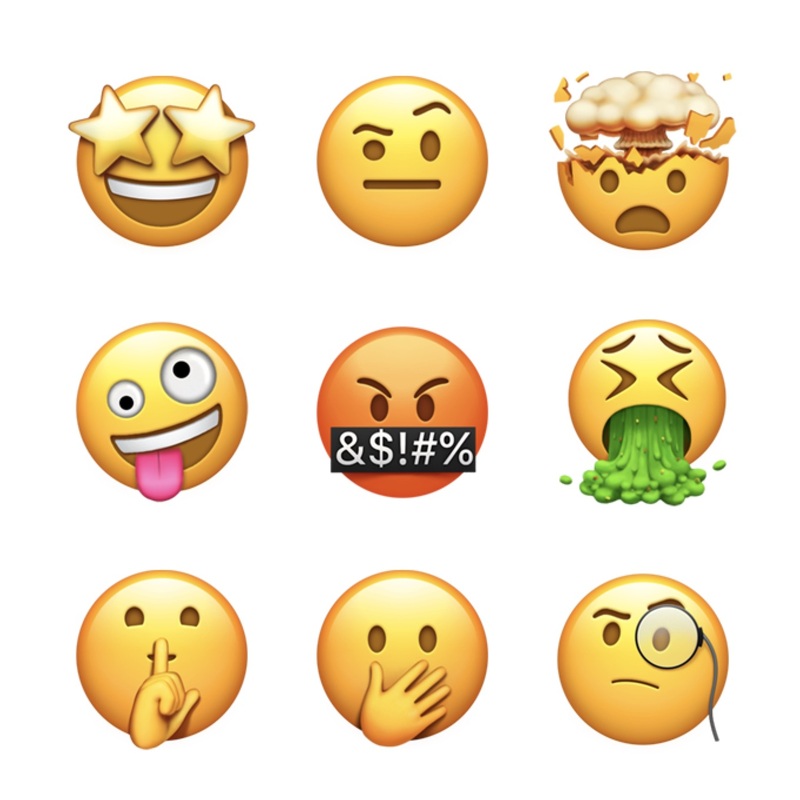 Basically, every character within an Emoji ZWJ Sequence should be an emoji (either an emoji-only character, or a text character followed by an emoji presentation selector. Therefore, best practice to combine 👩 and ♖ for a woman playing chess would be to first also make that chess piece an emoji. ⚕️ Medical Symbol was made an emoji so it could be used for the health workers ZWJs (pronounced "Zwidges"), but later given component status which means "this is legit to use in a ZWJ sequence, but don't show on the keyboard individually or give any emoji appearance". 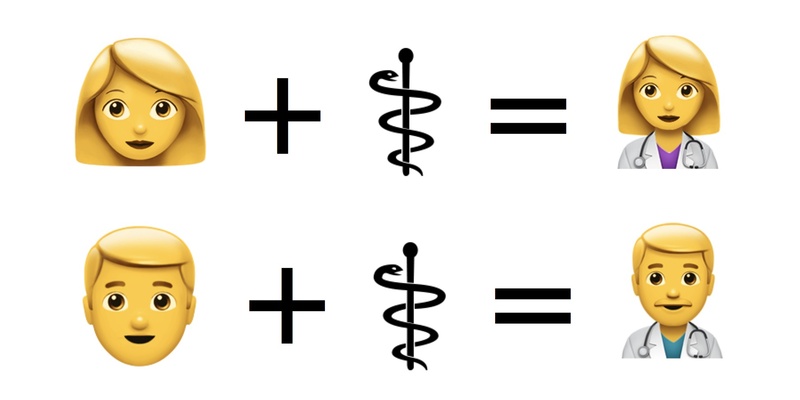 And so with the creation of the Emoji_Component property and its application to the ⚕️ Medical Symbol character, Apple likely didn't feel compelled to keep this in the emoji font any longer. iOS 11.1 is out now for all iPhone and iPad users with a compatible device (roughly the past four years). 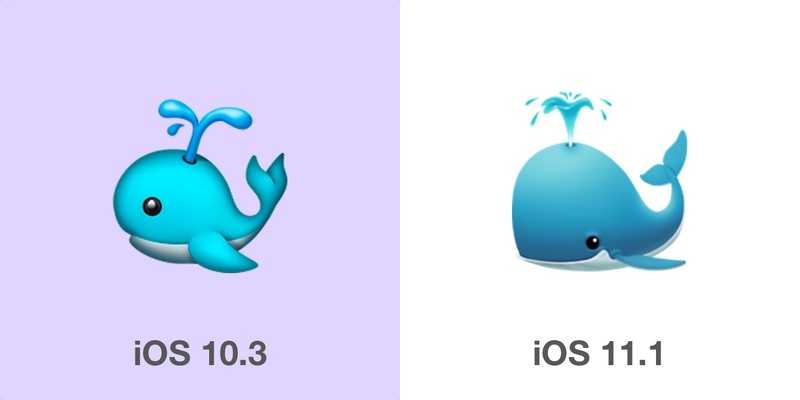 These same emojis are also included in macOS 10.13.1, watchOS 4.1 and tvOS 4.1. 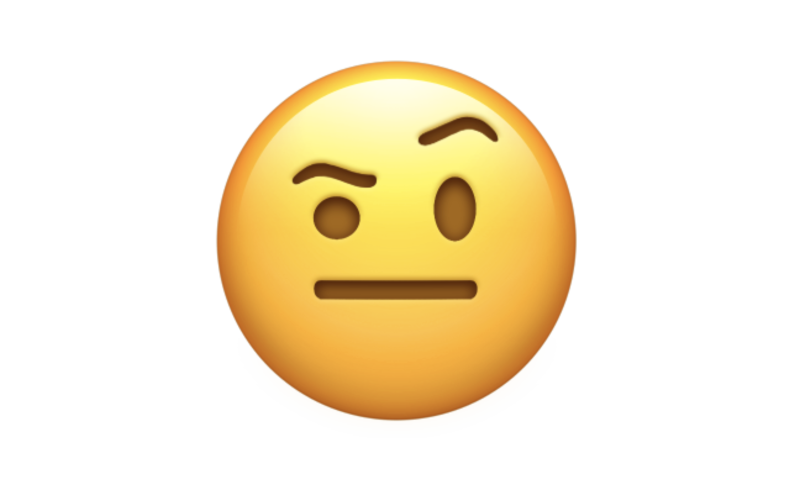 As with any previous updates: be aware that sending new emojis to users of older or non-updated phones will result in them seeing an infuriating question-mark box. Above: iPhone running iOS 11.1 showing new emojis. 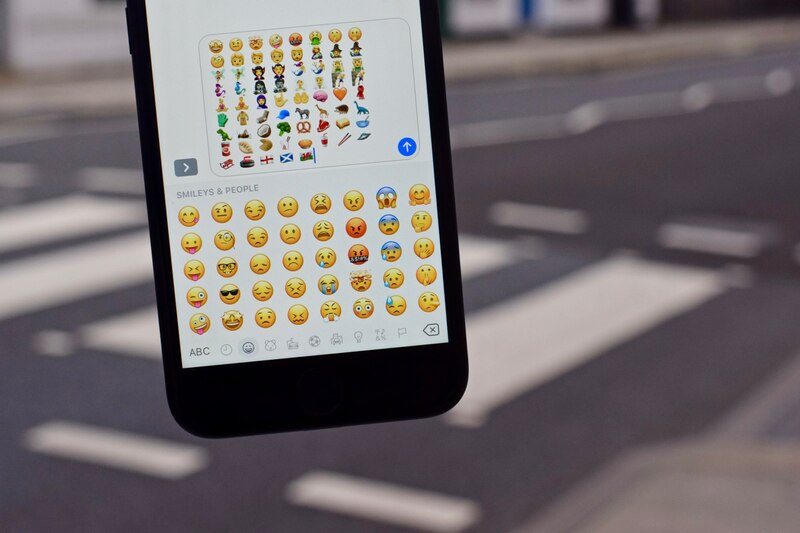 Photo: Jeremy Burge / Emojipedia.